Marie Lloyd lives again in this popular and celebrated show, which features all her famous songs: “Don't Dilly Dally on the Way”, “Oh! Mr Porter”, “A Little of what you Fancy does you Good”, “The Boy I Love is Up in the Gallery”. “The greatest music hall artist of all time”. Marie captures all the riotous fun and irrepressible talent, as well as the pain and anguish, of a truly remarkable woman. 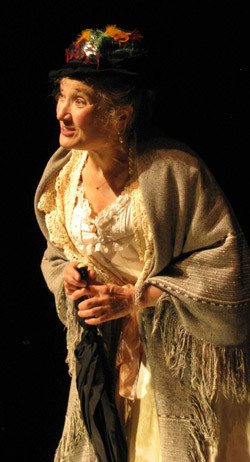 Elizabeth Mansfield received an Olivier Award nomination as ‘Best Actress in a Musical’ for her performance of this show, at The Fortune Theatre, in London’s West End.